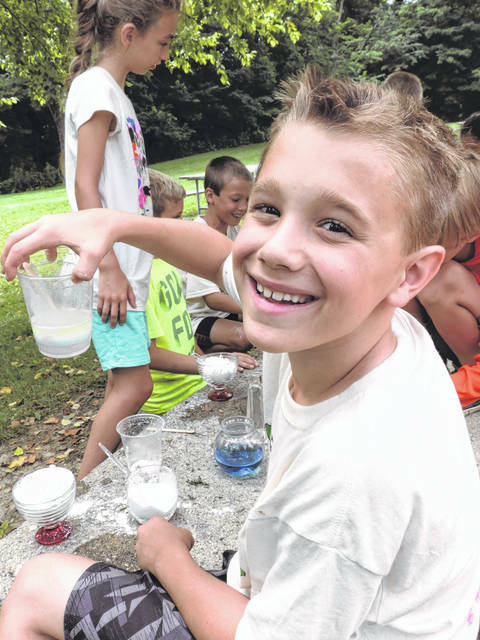 https://www.beavercreeknewscurrent.com/wp-content/uploads/sites/49/2018/07/web1_Camper1.jpgSubmitted photo Young campers recently explored the world of Minecraft using natural resources at Greene County Parks & Trails’ (GCP&T) Minecraft Camp at the Narrows Reserve. Pictured, participants create edible and non-edible potions to use in their adventures. 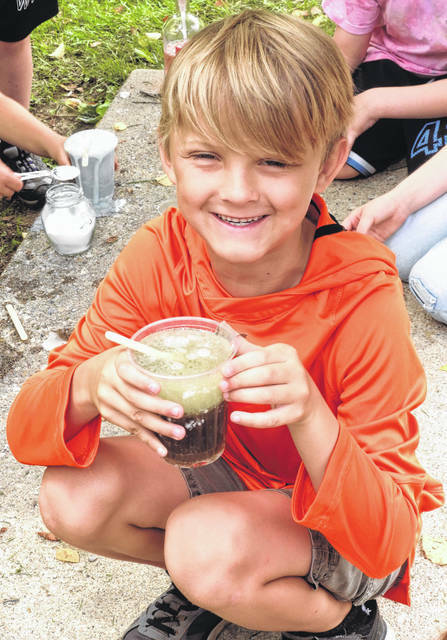 https://www.beavercreeknewscurrent.com/wp-content/uploads/sites/49/2018/07/web1_Potion.jpgOne camper creates an explosion potion while combining ingredients. 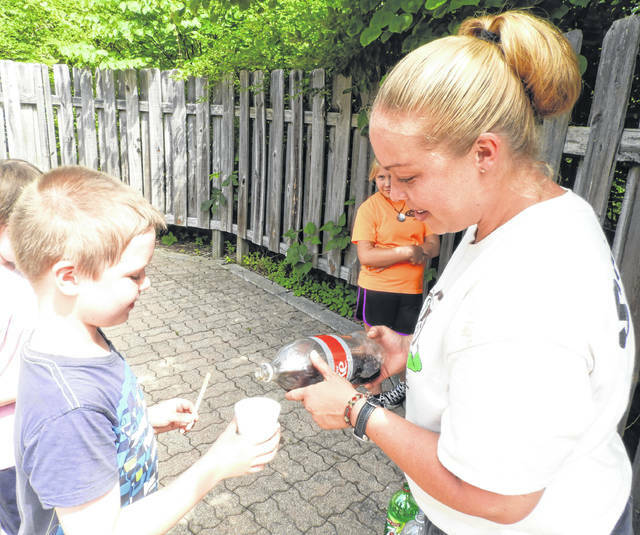 https://www.beavercreeknewscurrent.com/wp-content/uploads/sites/49/2018/07/web1_Pouring.jpgGCP&T Naturalist Ashlee Schmitt pours soda as part of the edible potion creating process at Minecraft Camp.